Officials also honored resident Gen Kollasch, who gave back to the community for more than three decades before passing away in January. Elbo Park, Mt. 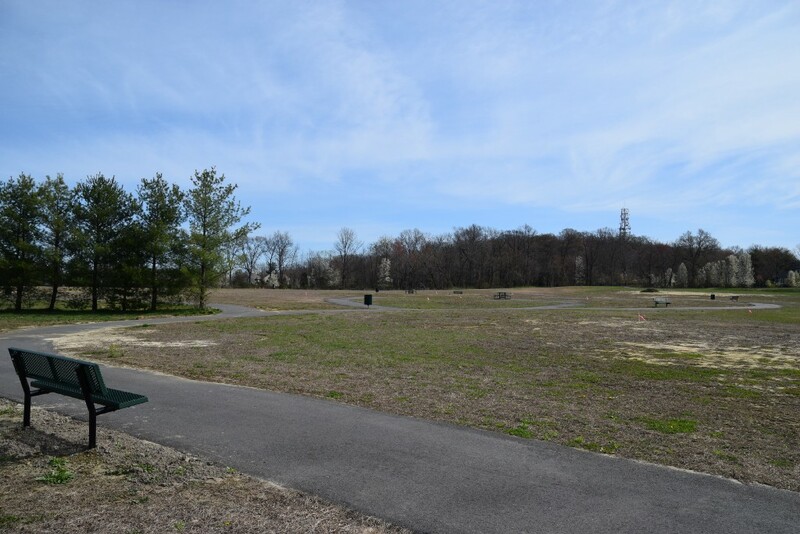 Laurel Township’s newest recreation sport, features benches and walking trails for all residents to enjoy. In 2007, Mt. Laurel Township purchased a piece of land at the corner of Elbo Lane and Hainesport-Mt. Laurel Road with plans to use the land as a new park. Now, more than a decade later, that plan became a reality when on April 21 the township held its opening ceremony for Elbo Park, officially located at 180 Elbo Lane. In what was originally a vacant space littered with branches, large weeds and other debris in 2007, the township used the opening ceremony to present a small audience with a fully cleared space featuring benches and walking trails. While much of the new park so far is simply paved trails and short grass, Karen Cohen, a member of the Mt. Laurel Green Team, said the team has plans to continue beautifying the park by working with the Mt. Laurel Garden Club, local Scouts and the Rutgers New Jersey Agricultural Experiment Station Cooperative Extension. “The idea is to put in trees that are friendly to pollinators so we can keep the environment going healthy,” Cohen said. The Mt. Laurel Rotary has also already agreed to donate 15 trees to the park, which officials will plant at spaces that residents can already see marked by wooden stakes. During the opening ceremony, township officials also spoke about holding the event on April 21 to line up with Earth Day the following day. Mayor Rich Van Noord recalled peace activist John McConnell and former Wisconsin U.S. Sen. Gaylord Nelson, who each share credit with founding a version of the first Earth Day in 1970 to spread a message of conservation and environmental stewardship. While Nelson’s original Earth Day was held on April 22 of that year, McConnell’s Earth Day was proposed for March 21 to mark to the first day of spring in the northern hemisphere and the concept of balance. Mt. Laurel Township officials held an opening ceremony on April 21 for Mt. Laurel’s newest park on Elbo Lane. Pictured are Mt. Laurel officials with the family of Mt. Laurel volunteer Gen Kollasch. Kollasch passed away in January at age 68, so officials unveiled a bench and plaque in her honor. In addition to declaring the park officially open, township officials also remembered a Mt. Laurel resident who gave back to the community for more than three decades. Genevieve “Gen” Kollasch, a well-known volunteer in the community, passed away in January at age 68. Kollasch lived in Mt. Laurel since 1972, during which time she served 35 years as a Girl Scout leader, in addition to her work in several of the township’s community committees and as a member of the Altar Rosary Society for Saint John Neumann Roman Catholic Church where she organized holiday food drives. 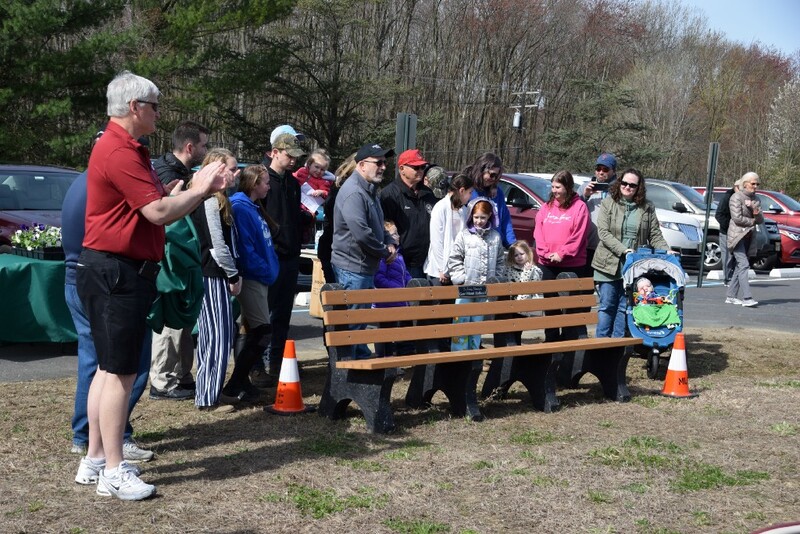 During the ceremony, township officials and members of Kollasch’s family unveiled a plaque honoring Kollasch’s memory on a special bench made of recycled plastics near the front of the park.